Lost in the mists of time there was the manor of Archer’s Court at Whitfield, northeast of Dover. Nearby was a house belonging to the Knights Templars with a large park. Following the demise of the Templars in the early 14th century, the estate was sold and became known as Little Archers Court and then Old Park. In the middle of the 18th century, Old Park was bought by Dr William Osborne of Hanover Square, London, who built a fine mansion on the site of the Templars’ house. This was the doctor’s summer residence and the views across the English Channel to the coast of France were acclaimed. 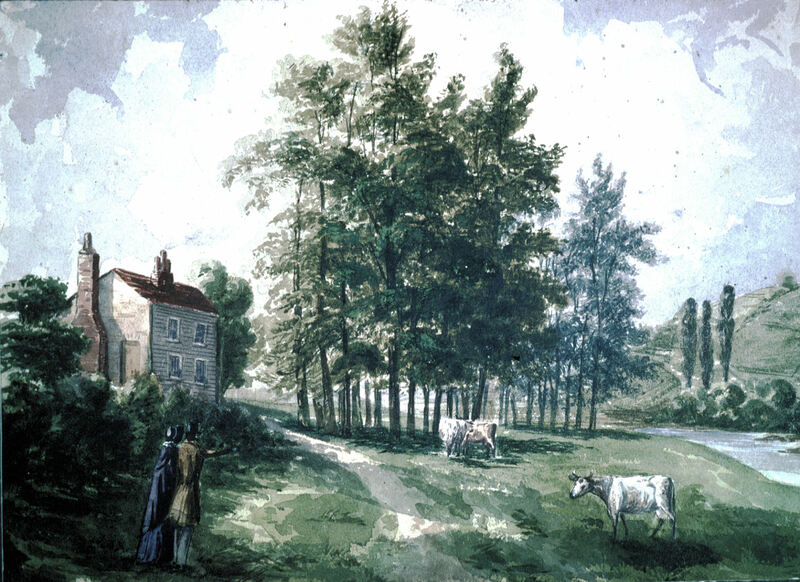 About 1784, Dr Osborne purchased the Manor of Temple Ewell. In another letter, Ann talks of her husband coming to join her at Old Park, and suggests that he take the mail coach from the Spread Eagle in Gracechurch Street that arrived in Dover at 20.00hrs and at Buckland Turnpike 20 minutes before. John Every had said that he would arrange for Thomas, one of the servants to meet Ann’s husband, but she has her doubts and says that she will send horses. Disaster struck Old Park in 1844 when fire broke out in one of the barns. The alarm was raised and the four Dover fire engines were dispatched, each pulled by a horse and manned by town porters. The porters and the farm workers brought the blaze under control but the barn, coach house, two stables and the granary were destroyed. It was believed that a worker smoking near the barn, which was full of straw, started the fire. John Every died in 1848 and on 12 February was buried in St Peter and St Paul Churchyard Temple Ewell. Charlotte remained at Old Park but let part of the mansion to a Mr Wilkinson. In September 1852, he put on a coming of age party for his eldest son that lasted a week. The entertainment included the sets and cast from Dover’s Royal Theatre, Snargate Street and was attended by ‘the most fashionable visitors of Dover.’ John Every would not have approved! That year Charlotte bought Coxhill Farm, in the Alkham valley, through which was the track from Dover to the village and Bushy Ruff. She immediately demanded that the track be closed and took legal action through the Wingham Court. This failed but Charlotte would not give up. On Saturday 9 February 1856, she instructed her agent, Thomas Smith, to block the road. The result was the ‘Battle of the Alkham Valley Track’ recounted in the story of Bushy Ruff and the track becoming the road that we know today. 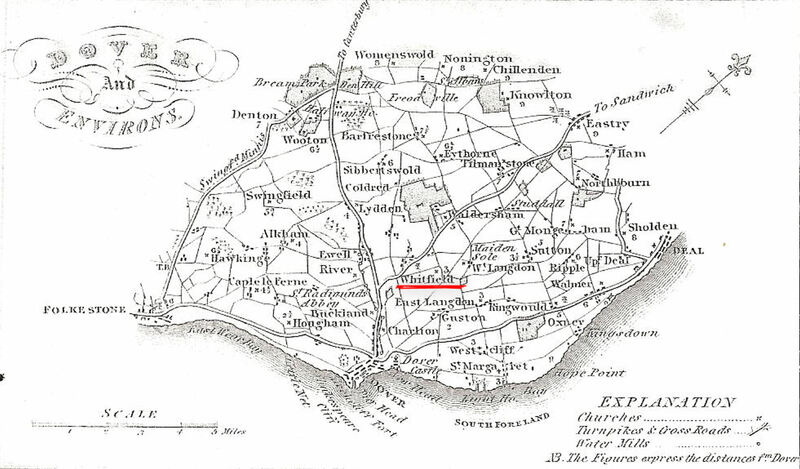 Not long after, Charlotte moved to Thanet where she died in January 1860 but her body was brought back to Temple Ewell for burial alongside her husband. According to the 1871 census, Old Park house was unoccupied at that time. However, Major Robert Bartholomew Lawes (c1823-1907) bought the estate. In 1876, he had the house restored, partially rebuilt and extended by local builder, William Adcock. 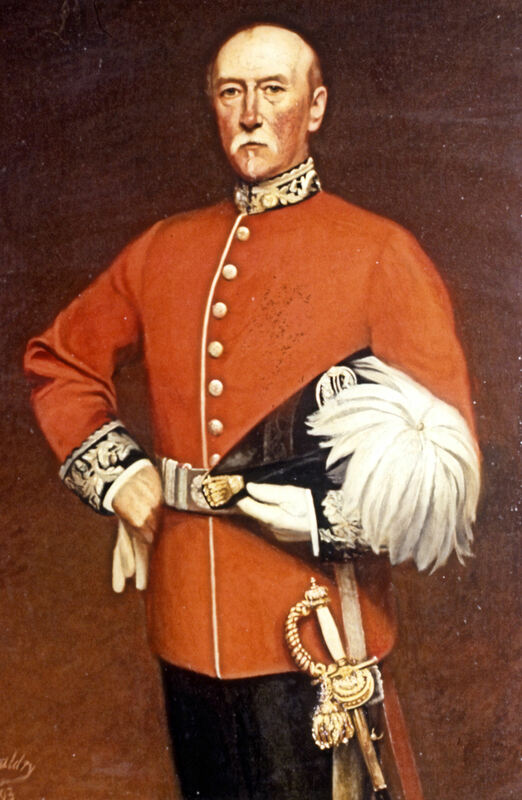 Major Lawes, as he was always referred to, was a Major in the Duke of Cambridge Volunteer Regiment and was a great supporter of the London Hospital becoming a Governor in 1863. On 25 April 1854, he married Emma Salina Murray and they had three children, two daughters and a son. Major Lawes was appointed a county magistrate and a Deputy Lieutenant of Kent. Across the valley, in the seventeenth century, merchant, Peter Nepveu – a former Huguenot refugee who had a warehouse in Woolcomber Street – acquired Elms Manor and Siberston Manor. Nepveu built Chilverton Elms, and gave the valley the name of Elms Vale. In 1749, the estate covering some 375 acres, extending from Elms Vale to Aycliffe and Capel was bought by Phineas Stringer senior. He died in 1757 leaving it to his eldest son Phineas of Castle Hill House. Stringer bequeathed the Elms Vale estate to his only daughter who married Edward Broadrip, who eventually sold the vast estate to Major Lawes. On 1 November 1877 the last tollgate in Dover, which had been in existence for 115 years, was taken down. This was on the Folkestone Road at the corner with Elms Vale Road, and the old tollhouse was demolished soon after. On this land, Major Lawes had built the Villas that can still be seen. Not long after, Mr & Mrs Johnson who owned People’s Café in Snargate Street gave a horse trough to the town – now filled with flowers in the Market Square. To compliment this Major Lawes erected a water fountain and later the council erected an ornate tram shelter! The Old Park estate stretched to the London Road and about this time, Major Lawes bought the Buckland Manor house, estate and Green Lane farm. The ancient Buckland Manor house stood at the bottom of Crabble Hill and was so old it was mentioned in the Domesday Book of 1086. At that time the owner is given as Odo, Bishop of Bayeau and the estate was 108 acres. Later parts of the estates were granted to the Sheriff of Kent and James Gunman bought these and the Manor House in the 18th century. Eventually, they were acquired by Thomas Horne of Buckland paper mill from whose estate Major Lawes bought it. Not long afterwards, Major Lawes had flint cottages built for estate workers near Buckland Bridge similar to those that can still be seen on Folkestone Road. In 1891, Major Lawes sold a piece of the Buckland Manor land for £1,495 to the council. 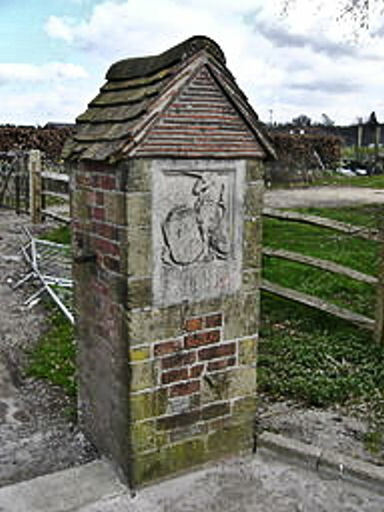 This enabled them to open then then Barton Road into London Road, at Buckland Bridge. At the time Barton Road petered into a footpath along what became Brookfield Avenue and this new road, the left Barton Road at angle towards Buckland Bridge was renamed Buckland Avenue. Once the new road was opened, the council sold building plots either side netting £2,125. After the expenses of acquiring the land and laying it out were deducted, the council made a profit of about £700. The Major was none too happy about this and it galvanised him into Real Estate. On his own land, he had the houses along Brookfield Avenue and Brookfield Road built ensuring they were attached to the town’s water and sewerage systems. However, with regards to the council acquired land, as the houses were being built the developers noticed that the land was not connected to the towns sewerage system! The council were obliged to lay pipes etc. for the additional cost of £839. Thus, for them, it was a loss-making venture! In 1897, the council demolished Buckland Manor house and Major Lawes presented the tiles from the fine ancient chimneys to Dover Museum. On the site, the council built a tram shed for Dover’s proposed electric tramway. The system was officially opened on 6 September 1897. Shortly afterwards, Major Lawes laid out Glenfield Road and Pretoria Terrace. Emma Lawes died on 2 June 1896 and Major Lawes on 11 November 1907. His son, Robert Murray Lawes, succeeded him to the estate. Murray, as he was known, was born in 1857, educated at Eton, a barrister in the Inner Temple and had married Florence Maria Lethbridge in 1889. Murray Lawes stood as a parliamentary candidate for Dover in the 1885 General Election. That year the Redistribution of Seats Act (1885) came into force and Dover’s representation in the House of Commons was reduced to one Member. Murray Lawes stood for the Liberals and Major Alexander George Dickson (1834-1889) for the Conservatives. Prominent on Murray Lawes platform throughout the contest was the 70-year-old Philip Stiff. On Sunday 15 November Stiff suddenly died at his home, 10 Priory Gate Road and this left the Lawes team beleaguered. Nonetheless, Murray carried on fighting hard and the final vote was close but won by Major Dickson with 2,066 to Murray Lawes’ 1,418. The first petrol-driven motorcar was seen in the town on 1896, and two years later Murray Lawes bought a 6hp open top Daimler – registration number D 53 – becoming the first local man to own a motorcar. On 19 September 1899, Dover held its first motorcar exhibition on Crabble Athletic Ground. A grand parade of 25 or 26 vehicles of assorted designs followed the Mayor, Sir William Crundall, and his wife around the track. The Mayor travelled in an electric phaeton belonging to Alfred Harmsworth, 1st Viscount Northcliffe (1865–1922), the newspaper magnet. Along with Murray Lawes and the other drivers was Charles Rolls (1877-1910). The Lawes family opened, for a long time, the grounds of Old Park for local Sunday schools to use for their annual summer parties and other special events. Murray Lawes died at his London home on 11 July 1920 after a very long illness but his wife carried on with the events. In 1921, late local historian, Budge Adams and his sister attended one such Sunday school treat and particularly remembered the penny rides on Betts’ the greengrocers cart around the grounds. 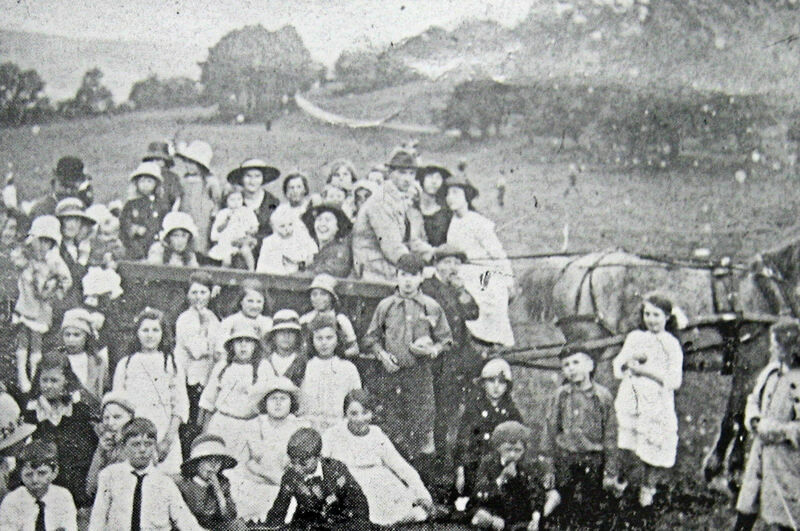 The special Sunday school outings to Old Park carried on until the late 1930s. Under the Housing Acts 1890-1919, following World War I (1914-1918), the council issued a compulsory purchase order for a further 55 acres of Old Park land in and around the Buckland Valley. The council had planned a major slum clearance programme in the Pier District before the War and envisaged building 600 new houses on this land. 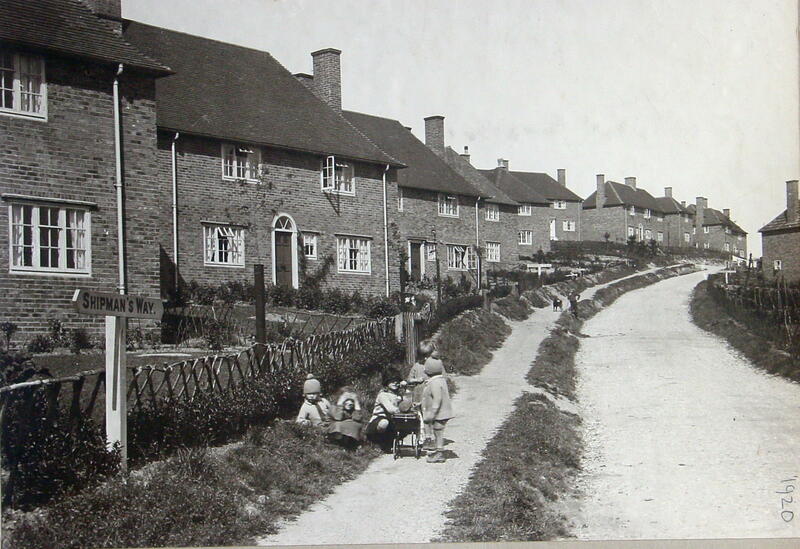 In 1921 scheme was reduced to 200 houses that were completed two years later. At the time Lorna Bomford, Dover’s first woman councillor (see Women’s Suffrage) was on the Housing Committee and her lasting legacy was the naming of the roads, of what was colloquially known at the time as the Chaucer development, after the author’s Canterbury Tales – Friars Way, Weavers Way, Knights Way etc. Alfred Hugh Harman (1841-1913), founded Britannia Works Company in Ilford, northeast London in 1879. They made photographic plates and the firm eventually took the name of the town. By 1932, Ilford films had become a household name and in spring that year, the company had developed a revolutionary new lens for cameras. The lens allowed the photographer to take long distance photographs that penetrated mist and haze. This was based on the premise that red light scatters light less than blue so they developed an infrared filter – a suitably dyed piece of gelatine that was placed in front of a telescopic lens. 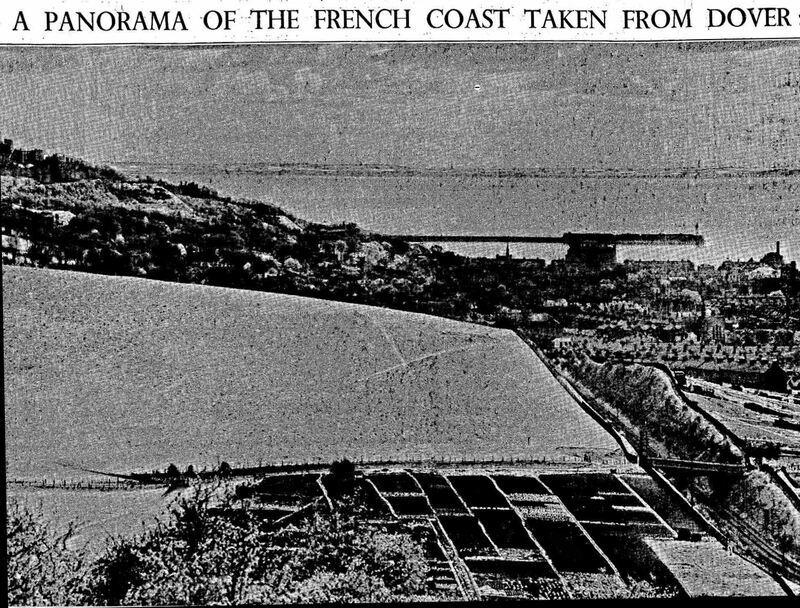 To use with the new lens they developed Selochrome film and to publicise both, Ilford took photographs of Cap Gris Nez, on the French coast, from the roof of Old Park Mansion in the presence of national newspaper reporters. On the day of the shoot, the unaided eye could not see the coast and to find direction a compass was used. The presentation was a success! 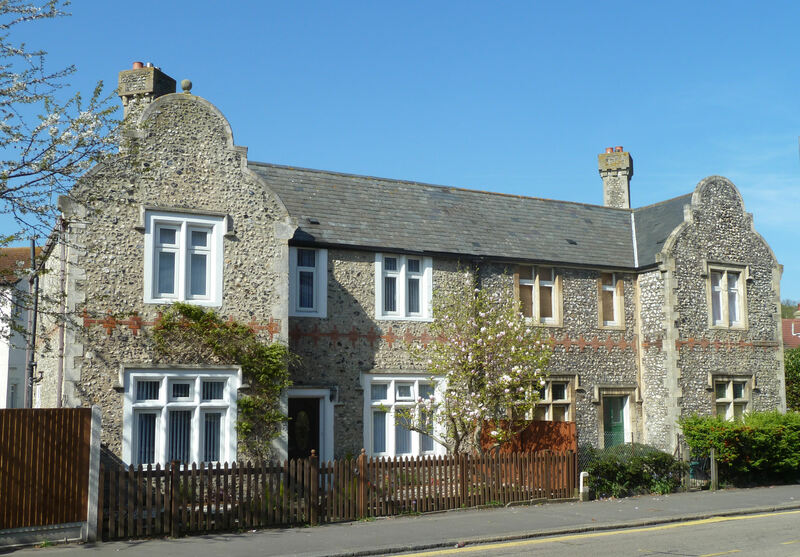 Trix Rogers was involved with Dover scouts and guides and in 1935 she persuaded Mrs Lawes to lease a derelict farm cottage on the outskirts of Elms Vale for the use by the various troops. The scouts, guides, their relatives and friends repaired, decorated and furnished the cottage and during the Battle of Britain (1940), it was officially renamed ‘Hell Fire Cottage.’ Most of the scouts and guides had been evacuated by that time but many returned on 18 January 1941, for a memorial service in honour of Robert Baden-Powell (1857-1941) who had died in Kenya. Florence Lawes died in October 1936 leaving her only son, Robert Lethbridge Murray Lawes at Old Park. Murray Lawes, as he too was known, was born on 19 November 1897 and educated at Eton. Following World War I (1914-1918), he became a close friend of fellow Etonian, Wykeham Stanley Cornwallis – 2nd Baron Cornwallis (1892-1982). The latter knew Brigadier-General Reginald Kentish and in 1925, the two young men helped the Brigadier to set up the National Playing Fields Association. The objective was to acquire, protect and improve playing fields, playgrounds and play areas where they were most needed, and for those who most needed them. These were particularly, children of all ages and people with disabilities. Their work with the Brigadier inspired the two friends to set up a similar organisation specifically for Kent. They approached Dover’s Member of Parliament, the Hon. John Jacob Astor (1886-1971), who agreed to be the President. He not only proved to be a figurehead but was also active in using his connections to promote what became the Kent Playing Fields Association (KPFA) founded in 1926. The objective of the KPFA was to ensure that there were adequate facilities for recreation in every city, town and village in Kent and to encourage the provision, improvement, retention and use of playing fields, children’s playgrounds and other recreational centres. Lawes was appointed chairman and Cornwallis the chairman of the Appeals Committee. To raise money they asked Kent breweries to persuade every one of their pubs to contribute £1 to the KPFA – and it worked! During this time Albert E Reed & Co, the newsprint manufacturers, starting making significant financial contributions to KPFA. The Kent Rural Community Council, in 1927, held a conference in the Chapter House of Canterbury Cathedral on the development of the coal mining industry in East Kent. The fledgling organisation was invited and Lawes read out a letter written by Major Astor. The letter emphasised the need for and the conservation of open spaces for the purpose of recreation. In June 1928, Lawes put the Old Park estate on the market. The mansion was described as a moderate size country home with terraced pleasure gardens, two tennis lawns, garage and stabling accommodation, tannery with bailiffs house, two entrance lodges all set in a well-timbered park. He also put to auction the 424-acre Buckland and Green Lane Farm saying that it was nine miles from the famous golf links at Sandwich as well as being situated on the outskirts of Dover. He finished by suggesting that the farm would be suitable for development purposes – which ran contrary to philosophy he had espoused. It appears that Lawes, not long after, withdrew the estate from the market and he certainly threw himself into the work of the KPFA. In 1929, he attended the hearings of Walthamstow Urban District council -v- London Playing Fields Society (LPFS) that went to appeal at the Essex Quarter Sessions. LPFS was incorporated and the land in question was vested in them as trustees under the Recreation Grounds Act 1859. 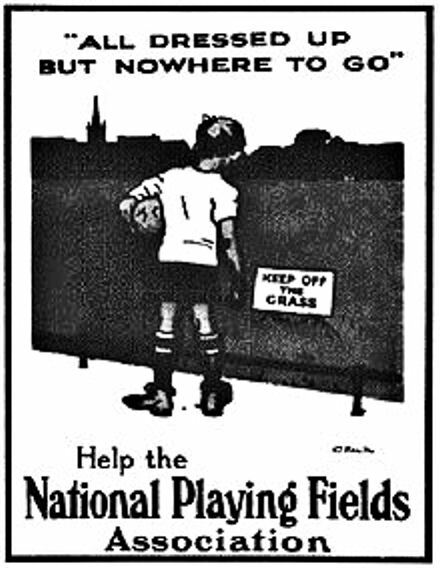 Walthamstow argued that playing fields were rateable by law while LPFS made the points that they were established, under 1859 Act, to promote sport among young people and paid neither dividends nor profits to members. Further, although they charged rent to clubs for the use of the sport fields, these did not cover costs. LPFS won the case because they were registered under the 1859 Act and therefore their grounds were not rateable. Lawes gave this decision a great deal of publicity such that numerous trustees of established grounds ensured that these were also covered by the Act. The following year, 1930, the Road Traffic Act was passed, and Section 61 (3), in essence, stipulated that large vehicles carrying eight persons or more, except where they were carrying their owners’ workers, were to be subject to an annual inspection and licence. The inspection and licence cost £6. Lawes, strongly objected, saying that the new Act would have a negative effect on village sports clubs who use such vehicles to transport teams and fans to other villages. In Parliament, the baton was taken up by the Labour Party’s Herbert Morrison (1888-1965), who referred to Lawes stance adding that such vehicles were used to convey disabled ex-Servicemen to sport fixtures and schoolchildren to Sunday Schools. Politicians of all parties then joined in the fray citing other users such as scouts, guides, church lads’ brigades and choir outings. The support that Lawes received was so overwhelming that the Minister of Transport, who happened to be … Herbert Morrison, suggested that the Act be amended – it was! Hardly had Parliament recovered before Lawes hit them again. This time the target was the 1930 Finance Bill, that was designed to reduce government grants to local authorities and urging them to be thrifty. The country had hardly recovered from the 1920s economic depression when it was dragged into a worldwide economic slump. Lawes received support from the Liberal Party, who wanted the Bill amended to exempt private sports clubs not run for divisible profits. They were concerned, like Lawes and KPFA that such grounds, without local government grants, would not be sustainable and so were in danger of being sold for redevelopment. This time he did not win. By 1933, John Charles Pratt, 4th Marquess Camden (1872-1943) and Lord Lieutenant of Kent was the long term President of KPFA and Major Astor the Chairman. Lawes, a Conservative, was Dover’s representative on Kent County Council and as Vice-Chairman, of KPFA, he was very active in promoting the Association’s objectives. By that year, KPFA had opened 60 new playing fields in Kent that amounted to 1,200 acres, with a capital value of £120,000! They were also working with the NPFA to persuade major industrial organisations to provide sports gear for their workers and for the unemployed and to help distribute the clothing and equipment. However, there were set backs to achieving their objectives. The one that caused Lawes particular concern was the Ministry of Health’s refusal to sanction a loan for a new playing field at Maxton. 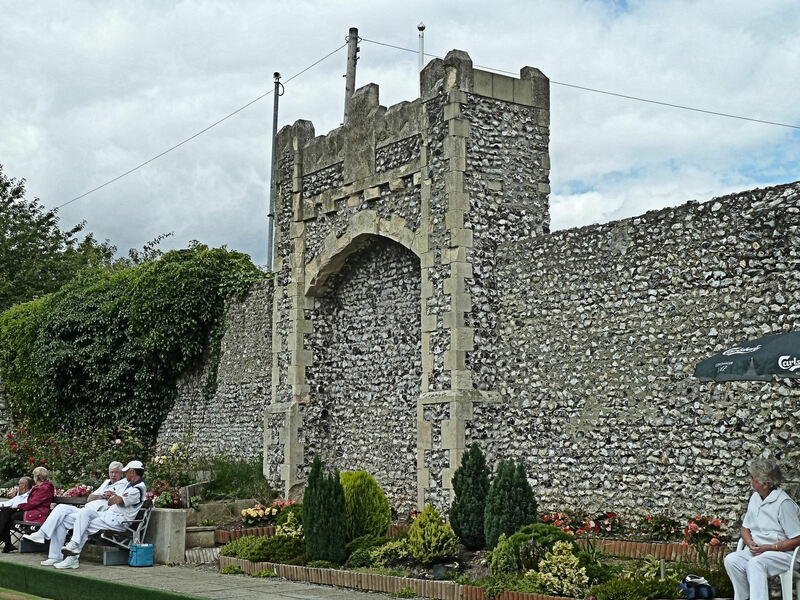 They had sanctioned the laying out of one gifted by Lawes with covernants adjacent to the Chaucer housing development at Buckland where both Lawes and Dover Corporation emphasised the help it had brought to the unemployed in the town. In the event, with Lawes financial help, Elms Vale dairy farm and 61 acres of fields were bought by the town in June 1933 for £2,000 and Elms Vale recreation ground was laid. The rest of the land, it was suggested, should be used for housing development. Lawes was, by this time, troubled about the proliferation of housing development schemes particularly in Kent County Council (KCC) areas close to London and on playing fields not covered by the 1859 Act. By 1936, KPFA was strongly identified with those who advocated a Green Belt scheme around London. This culminated in the Green Belt (London and Home Counties) Act 1938, which permitted local authorities around London to purchase land to be protected as open spaces. In 1947, the Town and Country Planning Act allowed all local authorities to include green belt proposals in their development plans. 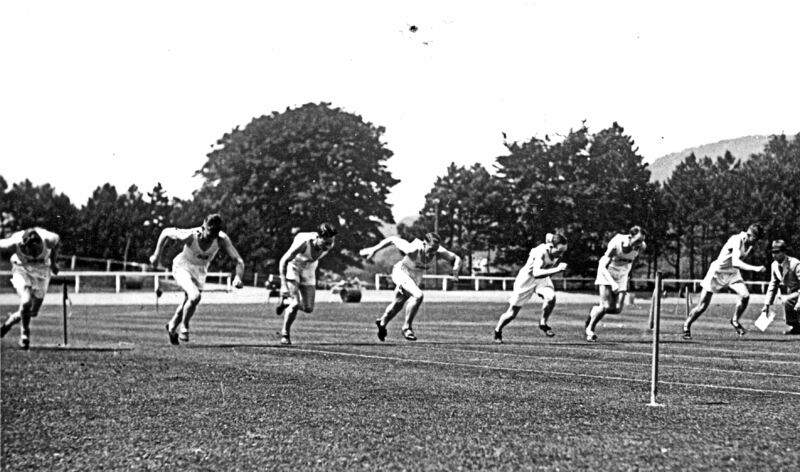 In Kent in 1937, due to sustained pressure from Lawes, KCC agreed to acquire some 2,000 acres on the outskirts of London for open spaces or recreation grounds! In order to raise money for KPFA, Lawes – a keen golfer – persuaded the Prince’ Golf Club at Sandwich to present a challenge cup with the proceeds from the competitors to be given to KPFA. Edward, Prince of Wales later Edward VIII and then Duke of Windsor (1894-1972) agreed to give his name to the trophy in recognition for KPFA‘s work. These days, although the KPFA Challenge Cup still figures in some of the Princes’ Golf Club schedules and occasionally donations are made to the KPFA since 1957, when the Cecil Leitch ‘Five’ Club Competition was introduced, this has been the main fund raiser. Initially the competition was staged at the Royal Cinque Ports Golf Club, Deal but is now for at various international goldf courses around the county. The competition attracts thousands of golfers each year. Charlotte Cecilia Pitcairn Leitch or Cecil, as she is known, is a well-known and highly esteemed international golfer. Following the death of George V (1910-1936), the NPFA launched a memorial appeal and again Lawes was heavily involved. This provided grants towards the costs of playing fields, which would be preserved in perpetuity. 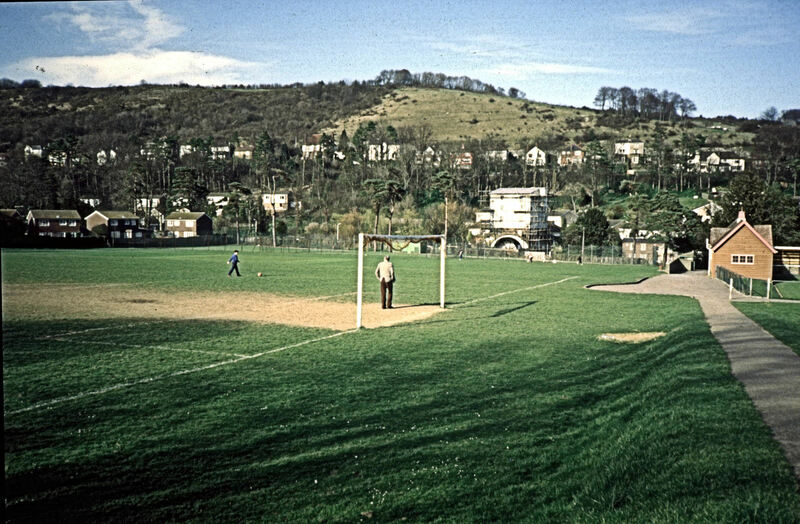 All the sports grounds were called King George’s Field. In Kent, there are three, London Road – Faversham, Park Avenue – Sittingbourne and Costells Meadow – Westerham. The Duke and Duchess of Kent in 1936 agreed to be the Patrons of KPFA. Later that year, following the abdication of Edward VIII, they became George VI (1936-1952) and Queen consort Elizabeth. That year Lawes was the elected Chairman of the Men of Kent and Kentish Men Association (MK&KM) and at KCC was the Chairman of the Public Amenities Committee. In a speech to the MK&KM, in 1938, the Archbishop of Canterbury (1928–1942), Cosmo Lang (1864-1945), put a question to Lawes. He asked Lawes if, through his position within KCC, he would do all he could to preserve the countryside and not allow it to become over- housed. Adding, ‘New buildings should not be allowed to sprawl about and to be built without congruity to their surroundings.’ The Archbishop finished by begging Lawes ‘Never to allow Kent’s glory to become KCC’s shame.’ (Speech in Dover 10 May 1938). Murray Lawes married Kathleen Francis Biega née Seeley in December 1937 and the following year was elected KCC Alderman of the County of Kent. 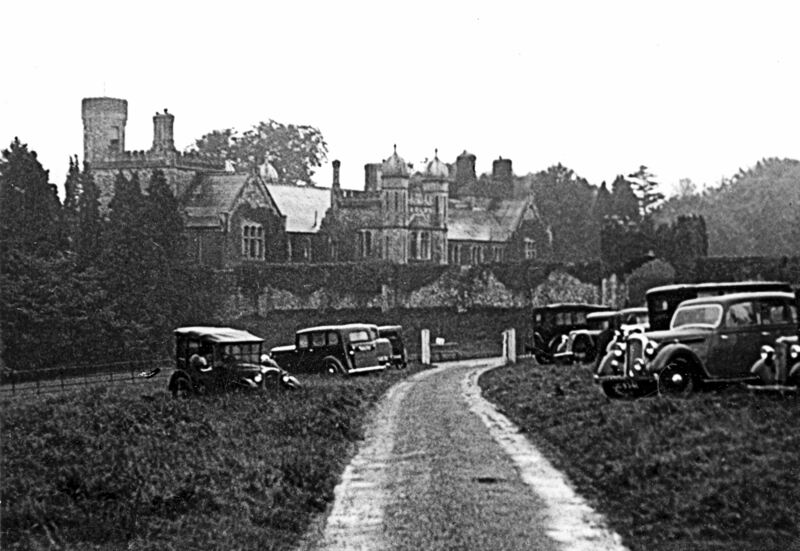 November 1938, Lawes gifted Old Park mansion and 225 acres of the estate to the Ministry of War. In the summer of 1939, Old Park Barracks were built. By the outbreak of World War II (1939-1945), Lawes had joined the army rising to the rank of Lieutenant Colonel. 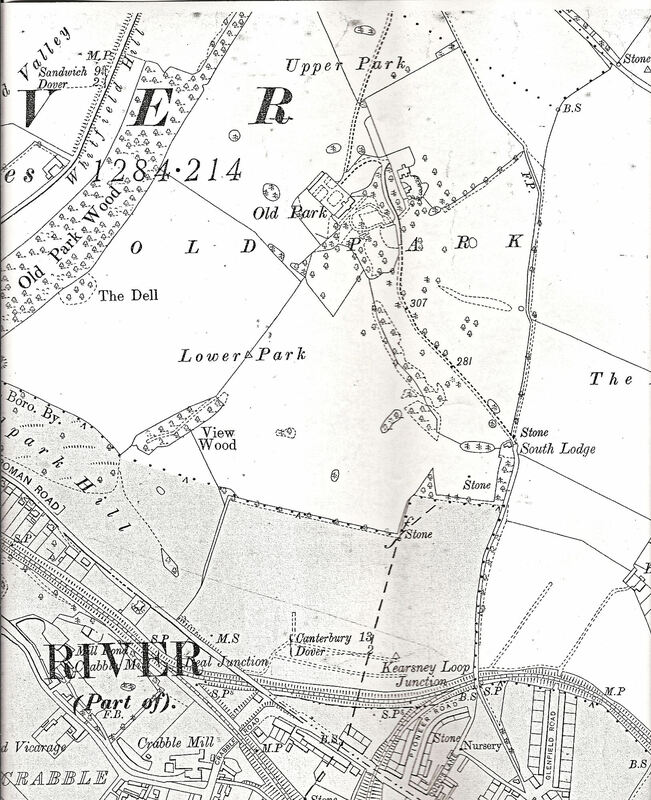 Following the War, Lawes remained actively involved in KPFA but was forced to sell the remaining acres of the Old Park estate to Dover Corporation for housing development. He died in London in 1969. The story of Old Park from 1939 can be read in Old Park Part II. This entry was posted in Buildings, Lawes Murray Old Park & the Foundation of the Playing Fields Association, Old Park history part I & the Foundation of the Playing Fields Association, Old Park history part I & the Foundation of the Playing Fields Association, Old Park history part I & the Foundation of the Playing Fields Association, Open Spaces, People, Whitfield. Bookmark the permalink. really interesting as i was a junior leader in the 1960s and i always wondered about the history of the local area found all of this really informative.